Dr. Mitrova leads the Oil and Gas Department at the Energy Research Institute of the Russian Academy of Sciences (ERI RAS). Dr. Mitrova has twenty years of experience in dealing with the development of Russian and global energy markets, including production, transportation, demand, energy policy, pricing and market restructuring. She is leading annual “Global and Russian Energy Outlook Up To 2040” project. Dr. Mitrova is a member of the Governmental Commission of the Russian Federation on fuel and energy complex and member of the Board of Directors in E.ON-Russia JSC. 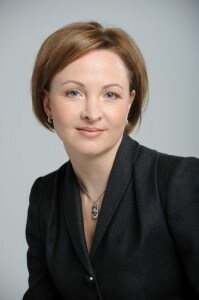 Dr. Mitrova is a graduate of Moscow State University’s Economics Department. She is an Assistant Professor at Gubkin Oil and Gas University and Visiting Professor at the Institut d’Etudes Politiques de Paris (Sciences Po) Paris School of International Affairs. She has more than 120 publications in scientific and business journals and four books.